Cast your mind back, or click this link, to January last year. I had in my possession a sample size of the holy grail beauty serum that is Lancome Visionnaire. And boy did I cling onto that precious sample for every last slither of serum it contained. I compared it with the claimed dupe L’Oreals Youth Code Luminizer and Visionnaire won, hands down. Since then I have been trialling serums left right and centre and as great as some have been - I’m looking at you, Origins Skin Renewal Serum, nothing has quite had the same effect that Visionnaire did. 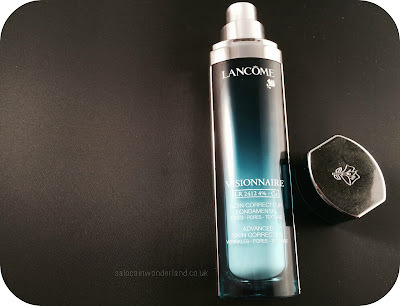 When holidaying in Fuerteventura last month and finding myself in a cosmetics store, I actually let out an audible squeal when, in my hands, I held Visionnaire with a price tag of €40. It didn’t take me long to dip into my spending money and come out clutching my prize. 18 months down the line and finally I had a much more substantial amount of the famed serum to play with. Visionnaire is one of those all rounder beauty products that does all the washing, cooks the food, cleans the house and still has time for yoga all before 9 am. All singing, all dancing, does what it says on the tin. You get the idea. The ultra lightweight, lightly fragrant formula just sinks into the skin, leaving no tacky residue or grease behind. Pores look more refined and skin tone appears more even overall. 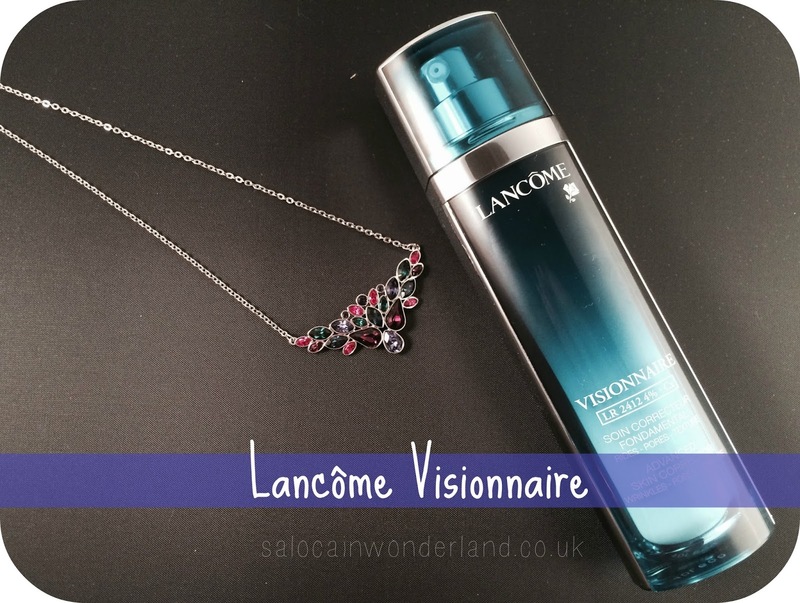 I have read so many mixed reviews for Visionnaire but for me, it really does work well with my skin. I have oily/combination skin and it doesn’t cause excess oil production and wears well under other products. I’ve noticed a marked improvement in the overall appearance of my pores and my skin does feel silky smooth to the touch. It does something that no other serum has managed to achieve so far, it just ticks all the right boxes for me and that kills me. Coming in at £60 for 30ml, it is in no way purse friendly and once this bottle runs out, who knows when I will get hold of another one. I will savour it, I will enjoy it and make the most out of every last pump - but I will use it. The problem with higher end cosmetics when you have bills to pay is that you’re always more inclined to save them, use them sparingly and only on special occasions. but by doing so, you will never reap the full benefits of the product, you’re skin won’t have time to make the most of all those skin loving super powers - and you’ll probably keep it so long it will go well past the use-by date and you’ll end up throwing half of it away. True story. More often than not, a higher end product can’t justify its price point, but, when something like Visionnaire, in my opinion, does justify that price point, it doesn’t mean we can always afford it. Alternatives are out there, but rarely does a dupe live up to the master, however, lipstick and eyeshadows are a different story! So, the point of my rambling today? If you’ve got a product you love but are too scared to use because it was expensive - use it or lose it. Enjoy it whilst you can, look back on it fondly like your favourite holiday and maybe, just maybe, you will cross paths again. What’s the fancy pants product you’re hiding in your beauty drawer? I got a Liz Earle cleanse and polish with muslin cloth free when I won a competition. It is AMAZING on my skin and I love using it. But I'm too scared to enjoy it so much because for a skincare product, I wouldn't spend the £15 to have it in my collection. I love Liz Earle Cleanse and Polish! I'm using the hot cloth cleanser right now! It was certainly a treat to myself but I am loving using it. I can't justify buying it all the time but every couple of months or so it will come home with me - and I use it right up, enjoying every last pump! I love it when a high end product WORKS! I've bought so many that have just been rubbish. I have been guilty of being scared to use it up! My fear is that they won't work, especially when you've had to work extra hours in work to justify the cost of that ONE item! Thank the beauty gods for samples and subscription boxes that can at least give us a taster! You have to! I would be beyond annoyed if I used something so sparingly that eventually it went past it's use by date! What good is a fancy pants product to me if I have to throw half of it in the bin? That's such a waste of money! I'd rather use it up and enjoy it for the time I have it than chuck it! Seriously though I know what it's like when you fall in love with a mega high end product and you can't always justify the expense. For me right now there are two such products - first is the Hourglass Veil Mineral Primer (it's just stunning) - second is the Rodial Super Acids cleansing pads (love these). I have heard SO many amazing things about Hourglass products that I really want to get my hands on some to try! Christmas list meets post-Christmas sales will hopefully bring some my way haha! The expensive product I most regret is an Estee Lauder lip lacquer - it's so messy and has zero staying power even after you apply Lipcote. Go with Mac instead. I hate it when you save up and splash out on a higher end product only for it NOT to work on your skin! Then you're just stuck with it! Where I can I will always try and get a sample first before I go full sized!